Government has advanced almost GH¢1 billion towards some of its key industrialization and social intervention programs outlined in the budget for this year. A release from the Ministry on Monday said GH¢91.5 million is to be allocated to the One District One Factory initiative. 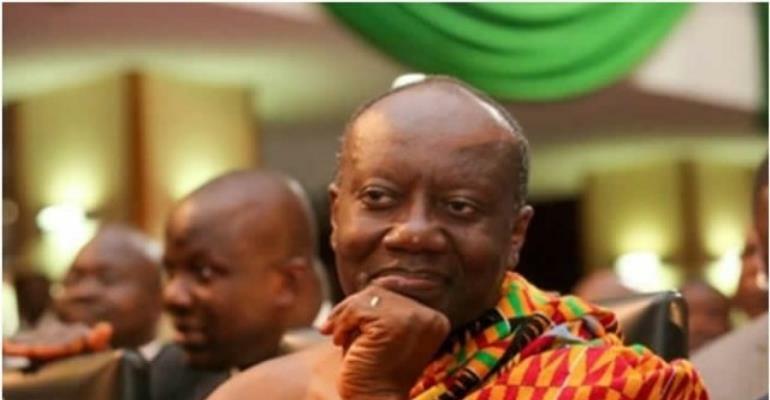 It also said since January 2018, some GH¢205 million cedis has been advanced to run one of government's flagship Free Senior High School (SHS) program. The Planting for Food and Jobs which is expected to create jobs and boost the agriculture sector will receive GH¢105 million. Another GH¢126 million has been allocated for the execution of the National Identification project. Also, Infrastructure for Poverty Eradication Program has been awarded GH¢400 million of contracts. The School Feeding Programme will receive GH¢100 million. According to the Finance Minister, these disbursements show that government is committed to clearing the arrears to help fast-track the stability of the economy. Further, government says GH¢3 billion arrears have been cleared in accordance with the GH¢3.7 billion budgeted for 2017. As at February 2018, government is said to have cleared GH¢600 million in addition to what has been cleared already. “Our strategy going forward is to clear the validated stock of arrears in accordance with the 2018 budget program” the Finance Minister added.